Professor Ian Robson gave a light-hearted talk covering his career in astronomy from a telescope on the top of Queen Mary University above a London street in the 1960’s to the top of a snow-drifted Mauna Kea, Hawaii – including frequent, confessional asides. Some aspects may have been expected, such as bids for project finance and student and graduate applications on a professor’s desk. Less expected were the thousands of air miles accumulated over a lifetime in astronomy. Venus at the bright magnitude -3.9 in the evening presents a three-parts, waxing gibbous phase visible in small telescopes. Jupiter is visible from sunset, starting low in the south east. Full astronomical darkness will not occur again until August. The society has been offered the opportunity to participate in a world wide public outreach project using the Las Cumbres Global Telescope Network. Our choice of target is likely to be the Hyades cluster in Taurus. Of significance to EAS, the displaced positions of Hyades stars were those measured by Sir Arthur Eddington during the 1919 Solar Eclipse confirming Einstein’s General Theory of Relativity. Volunteers to present are just about enough to hold the proposed Solar System in Kendal event on Saturday 18th August. Our regular member’s presentation of Constellation of the Month featured the low, summer constellation of Virgo. Leo was also included. NASA successfully launched their Insight Mission a week ago to arrive on Mars in two months time. Over the following Mars-year (approximately 1.5 Earth years) the mission lander will probe the surface with a seismometer and then wait to measure the vibrations from any subsequent seismic events. The upper atmosphere of an exoplanet (WASP-107b) has been analysed using the light filtered through it during a transit, revealing the (not unexpected) presence of Helium. Work to test the method on Earth’s atmosphere (Yan et al. 2014) proved that atmospheric compositions can be studied in this way and that significant biomarkers (oxygen, water, NO2) can be detected. 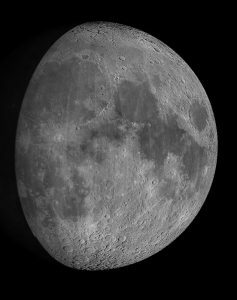 They analysed the light that passed through Earth’s atmosphere and bounced off the moon during a lunar eclipse. The universe expands with distance at a rate which is given by the Hubble Constant – or are there two Hubble Constants? 68 km/sec or 73 km/sec – or, even, both. Measurements have been made using the structure of the early Universe and using ‘standard candles’ in galaxies as in our February guest speaker’s research. The values obtained by the two methods appear to be different, and the chance that the difference is a fluke is currently less than 0.01%. This is nearly at ‘discovery’ level but not quite. If the difference is true, it may point the way to new physics or an overhaul of cosmological models. In the words of our member: ‘Over to the Cosmologists to sort this one out’. See Sky Notes in particular. 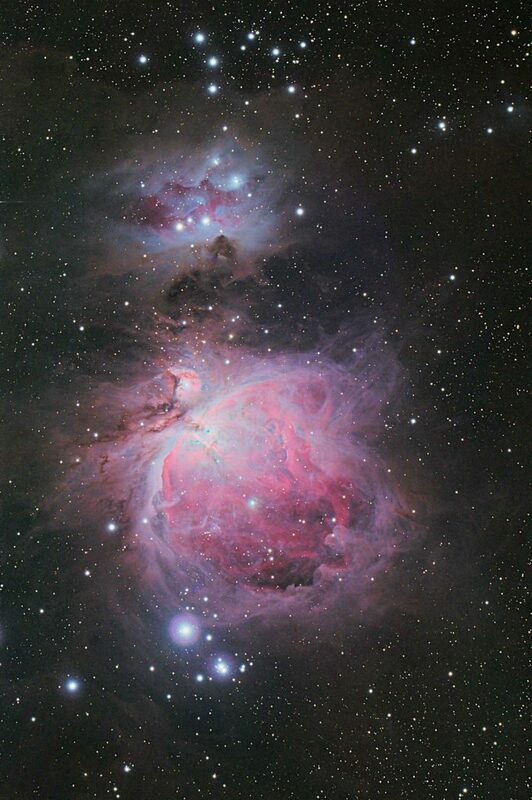 The society has been offered a one-hour imaging session of an astronomical object of their choice on the Las Cumbres Global Telescope Network . The offer has come from Carl Pennypacker, one of the teams whose studies of supernovae led them to infer in 1998 the existence of dark energy driving the expansion of the universe. The society is keen to involve any members who wish to engage with this imaging project, including local schools if appropriate. 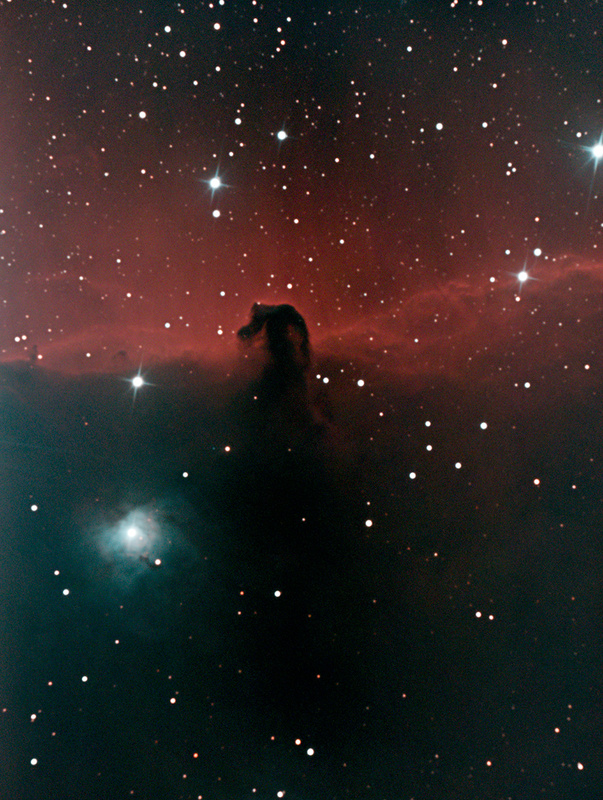 We have until December to choose an object and conduct the imaging. Please get in touch here if you would like to be part of this project, or if you have any suggestions for imaging targets. The meeting was reminded that the upcoming event at UCLAN in Preston: The Jeremiah Horrocks Spring Lecture Comets, Asteroids and Impacts. Should we worry and what can we do? Tuesday 15th May 2018 – 6:30 pm. More volunteers are required for a few hours during the proposed Solar System in Kendal event on Saturday 18th August. 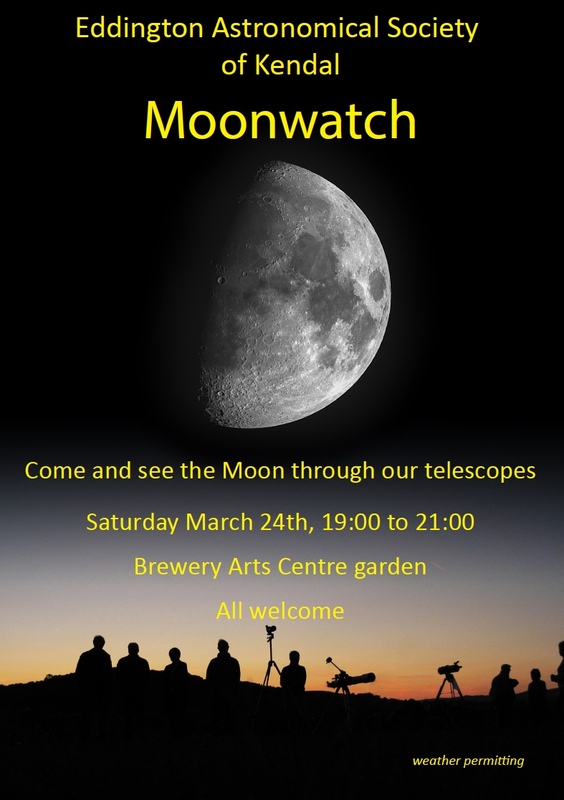 The next Member’s Observing evening will be in autumn when dark nights return. 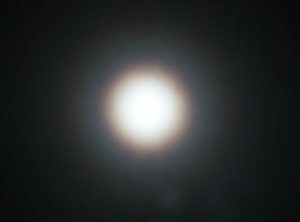 The farthest star ever detected has been imaged by the Hubble telescope, a Blue Giant in a galaxy nine billion light years distant: Hubble Uncovers the Farthest Star Ever Seen. Forget the Kepler space mission , a recent paper encourages more enthusiastic, if not radical, members to use their standard DLSR cameras to join in the search for exoplanets. 19th March saw us heading for Helsington Church to catch this conjunction of three heavenly bodies, under the impression that the forecast was going to deliver a clear sky. 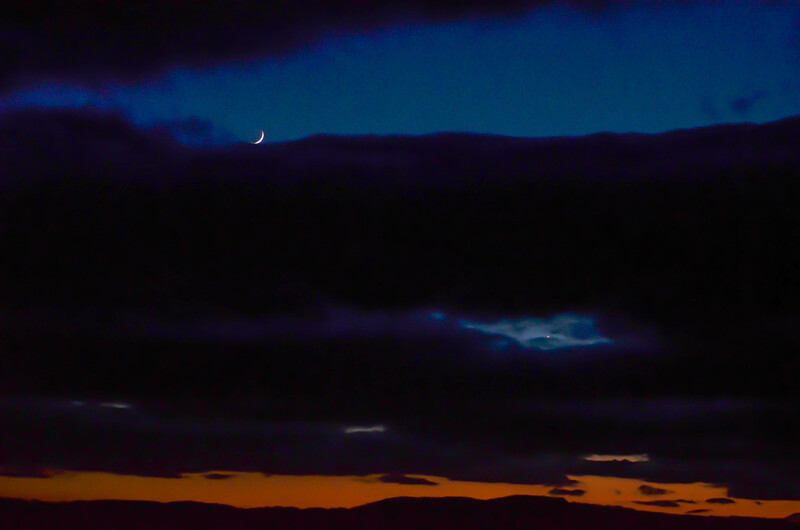 Well, I think this photo from Ted Woodburn sums it up – all three were visible at some point during the evening, but not necessarily at the same time! See Sky Notes in particular: Sunday 11th when the Moon and Saturn rise together, Monday 19th when the Moon, Venus and Mercury set together – suitably viewed from the Scout Scar mushroom and Helsington church grounds, Saturday 24th for the EAS public Moonwatch at the Brewery when the crater Plato will be casting shadows from the terminator division between lunar night and day and see late night 27th for Astronomical gamblers. See SpaceX landing video for the SpaceX landing. Dr Sansom discussed the presence of dust in early-type galaxies (lenticulars and ellipticals), and what that can tell us about how these galaxies formed and evolved. Dust is an indicator of what has happened in a galaxy over its life and can be added by galaxy mergers or stars as they age, and is destroyed over time, so how much dust is present can reveal much about what has happened to a galaxy over its life. Much of the work comes from the Herschel-ATLAS survey, the Galaxy and Mass Assembly (GAMA) project for three specific areas of the sky, and the Herschel Virgo Cluster Survey (HeVICS). The results so far show that the early-types in the GAMA regions can broadly be split into dusty, with some star formation still underway, and non-dusty. The dusty ones are “green valley” galaxies, as opposed to the “red and dead” ones on the red sequence. In contrast, galaxies in the Virgo cluster have less dust in them, but the galaxies here are closely packed together so galaxy environment could be important in how dust is generated or destroyed in a galaxy. There is still a lot of work to do with this topic, but it is an active topic and more results are on their way. 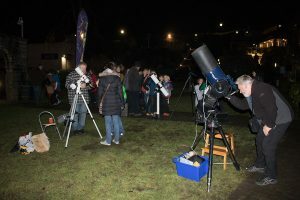 The forecast of clear skies for Tuesday 20th February had been consistent for about three days, but within an hour of announcing the observing evening at around 4pm it had completely clouded over. Such are the frustrations of organising events in Kendal. So it was an act of complete denial to go and set up at Boundary Bank, and I was delighted to see that I was not alone. At about ten past seven, the security lights switched off, the clouds lifted and we had horizon-to-horizon clear dark skies. The cold dry air brought a clarity and transparency rarely seen in Cumbria. 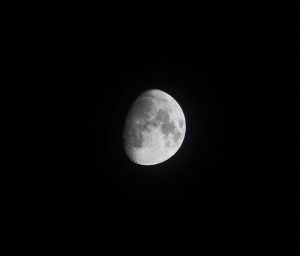 A relatively small turnout of about a dozen members, but with three good telescopes to share there was plenty of eyepiece time for everyone. Special thanks go to David Glass for giving so much attention to the new members and making them feel very welcome. One commented how delighted she was that people were willing to share the views through such amazing kit – I had never really thought of it in that way. What did we see and do? A round up of the constellations – with mythology from Moira – emphasising the difference between the rotating northern horizon and the ever-changing southern horizon, some double stars from David, star clusters including The Pleiades and the Perseus Double cluster, a long look at The Orion Nebula (below, my photo from 14 February) at various magnifications, a fruitless search for Uranus very close to the Moon. We finished with the Moon itself, an outrageously clear waxing crescent with fabulous detail around the terminator. All in all, a very relaxed session with everyone just happy to be out.